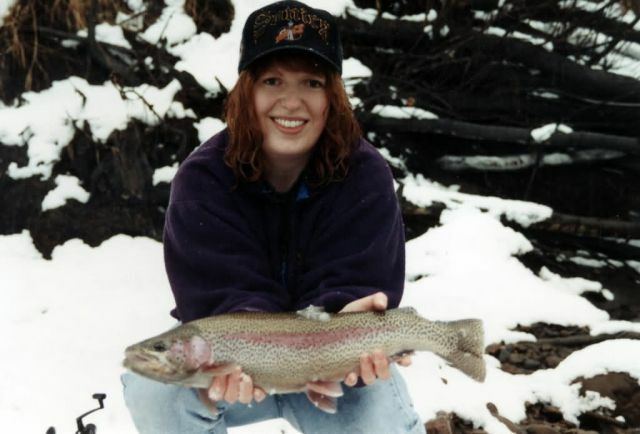 Alaska fisherwoman Sarah Wolcoff with a rainbow trout taken from a southcentral Alaska stream. Early spring fishing in this area can be in windy, rainy, or snowy weather. Only the most dedicated of anglers venture out into this environment to seek out the feisty native rainbows in this area. The fish was released unharmed.